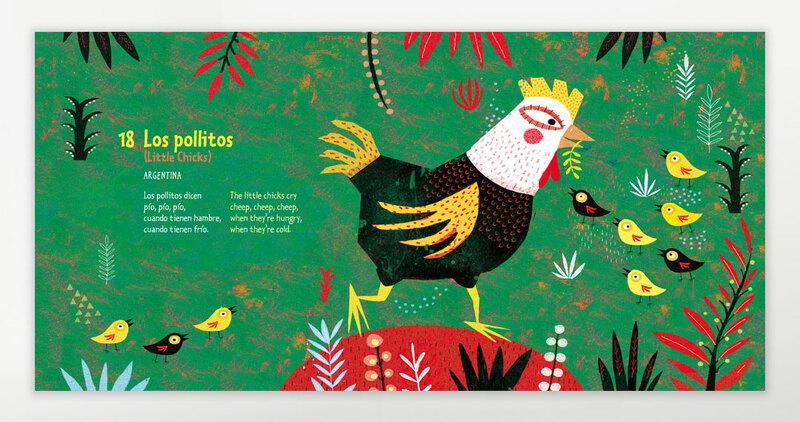 An extraordinary collection featuring 19 traditional nursery rhymes and lullabies in Spanish originating from Latin America that have withstood the test of time. 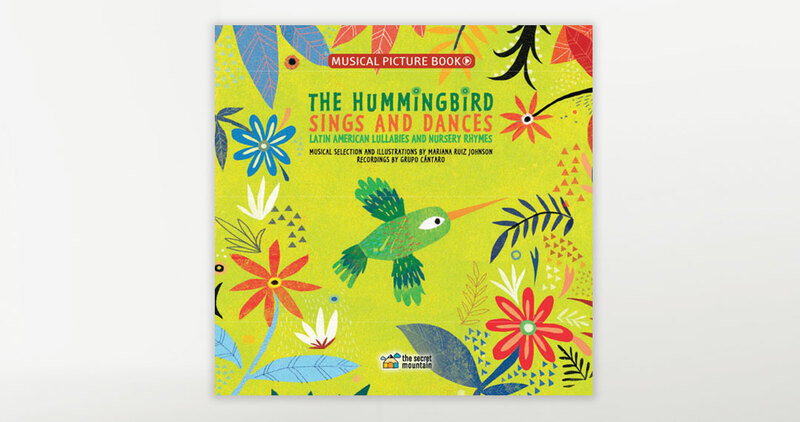 Warm, colourful illustrations with earth-toned backgrounds provide the setting for this endearing repertoire of family-friendly songs from 17 different countries. Solid musicianship supporting lively vocal performances transport the young listener into a playful, fanciful world inhabited by singing frogs and dancing skeletons! 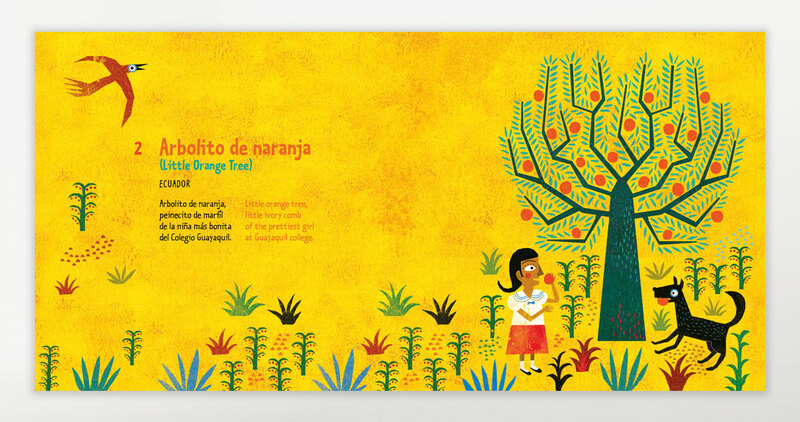 A map of Latin America and complete lyrics in Spanish with English translations appear at the end of the book. Mariana Ruiz Johnson studied fine arts and illustrations in Argentina. She has published several books for children as an author and illustrator in Latin America, Europe, Asia, Africa and the United States. 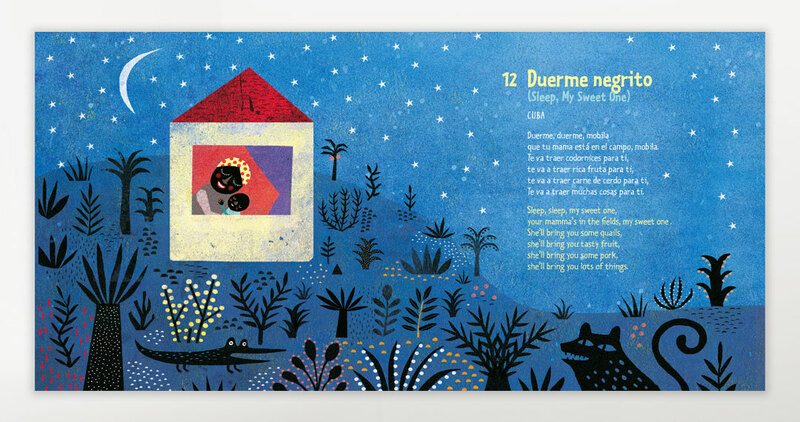 In 2013 she received the Picture Book Compostela Prize for the Spanish publication of Mama and, in 2015, she won the international competition “Silent Book Contest” at the prestigious Bologna Children’s Book Fair with her book Sleep Tight. Grupo Cántaro is a Mexican musical-vocal ensemble founded in 1979 that is dedicated to composing, arranging and performing songs for children. They have released 7 albums, the most recent one being Fabulas de Mi Granja (“Fables from My Farm”). 64-page illustrated hardcover book, 8″ X 8″ format, with an appended music CD containing 19 recorded songs (39 minutes) and a MP3 download code.